The donuts feature glitter instead of sprinkles! SPOKANE, Wash. – A new way to satisfy that sweet tooth is making its way to Kendall Yards. Hello Sugar, opens at 419 N. Nettleton St. on Friday, June 1 – which also happens to be National Donut Day – in conjunction with Indaba Coffee’s fourth Spokane location. Hello Sugar, owners Amy and Ramsey Pruchnic are close friends with Indaba’s owners. The menu of hot, made-to-order mini-donuts features six set flavors and one seasonal rotating flavor. If you visit, you will see your tasty treat made right before your eyes. Another fun detail: The donuts feature glitter instead of sprinkles. “They sparkle, especially in the sunlight. It’s just really fun,” Amy Pruchnic said. You can buy a dozen mini-donuts for $6 and a half-dozen for $4. Pruchnic’s personal favorite donut is the Dutch Baby, which she called a perfect combination of sweet and sour. Amy was born and raised in the Lilac City and her husband moved to the area in high school. The two are high school sweethearts. Amy said she and her husband, and their three children lived in Seattle for five years and felt called to come back to Spokane. Pruchnic said she calls Hello Sugar, a “donut experience” rather than a shop. Its values are centered on community, generosity and growth. 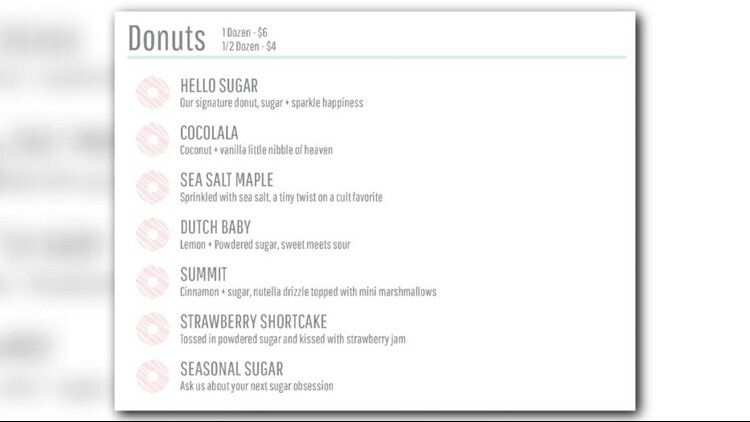 For National Donut Day, Hello Sugar is offering a $5 special for a dozen donuts and half-off brewed coffee. There are also gluten-free donut options. 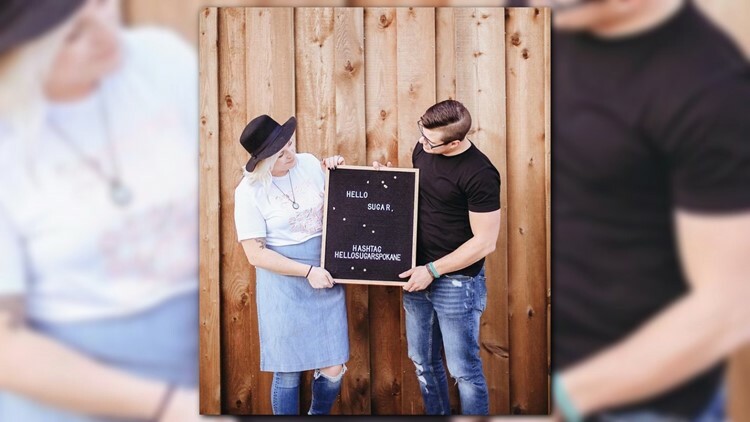 "I could not believe how excited people get when [they] hear donut, they cannot wait that there's going to be a new donut shop in town," said Amy Pruchnic, owner of Hello Sugar. "We are growing and we are finding ourselves with culture and our food and what we want the industry to look like here and so we really wanted to have a chance to be a part of that." Visit the Hello Sugar website for more information. You can also follow the shop on Instagram and Facebook.